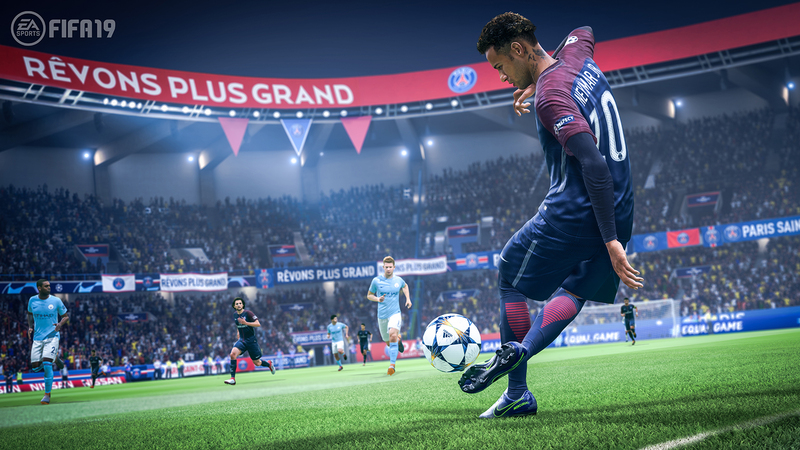 With the loot box debate in video games still ongoing, EA Sports vice president and COO Daryl Holt revealed that starting with FIFA 19, FIFA Ultimate Teams will start disclosing pack odds. In a statement to Eurogamer Holt said, "For Ultimate Team, when you buy a pack you know what you are getting. You are getting a certain number of assets that are guaranteed – and we're going to start to do pack odds disclosures that'll show you the odds of what you might get." Holt didn't detail exactly what FIFA 19 will be disclosing in its pack odds, and EA did not respond to messages asking for clarification. Presumably the new odds system will go deeper than what is currently available which is FIFA 18 telling players that Gold Packs are a mix of 12 items with at least 10 Gold and one Rare. Whether the new odds disclosure will reveal whether a Pack is more likely to contain players, players that are specifically ranked, or something else entirely is still unknown at this time. This follows word from GamesIndustry.biz where Holt once again reaffirmed EA's position that loot boxes are not gambling and are a "sustainable" system. Government bodies in countries like Belgium and the Netherlands have ruled against Loot Boxes, but EA maintains that since these cards have no real-world value to cash out, they can't be considered gambling. EA kickstarted the loot box controversy with Star Wars Battlefront 2 after it was discovered that Loot Boxes gave players in-game advantages and buffs. EA removed the loot system entirely, but local legislatures began investigating the efficacy of loot box system in games. We got a chance to see FIFA 19 at EA Play this year during E3, check out our FIFA 19 impressions here. Also see our complete FIFA 19 guide for release info, updates, and trailers. Tagged with EA Sports,	Electronic Arts,	fifa,	loot boxes,	News,	ultimate team.